When they asked I knew right away that I’d have to do something with chocolate flowers! They are my little babies, after all. Coating chocolate, which they’ve branded as Candy Melts, is the absolute perfect medium for putting together a fun and easy Valentine’s Day cupcake. The petals for this flower are heart-shaped and it’s even topped with a teeny tiny love bug. ? Full disclosure: While I was not paid to create this project or post, Wilton did graciously provide all of the materials for me. I would not have agreed to do the project or post if these weren’t already products that I use and love. 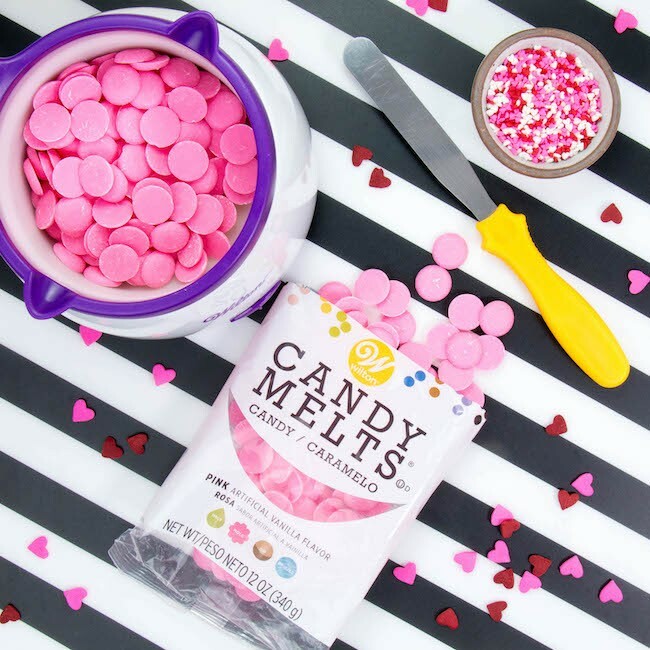 Melt the candy melts in a small heatproof bow in the microwave or make your life infinitely easier and try using Wilton’s Candy Melts Pot. Holy moly! This project was my first time using one of these and I won’t be going back now. If you give one of these a try, just be sure to turn the heat setting down to the middle position once the Candy Melts are melted so that you don’t scorch them on the higher melt setting. 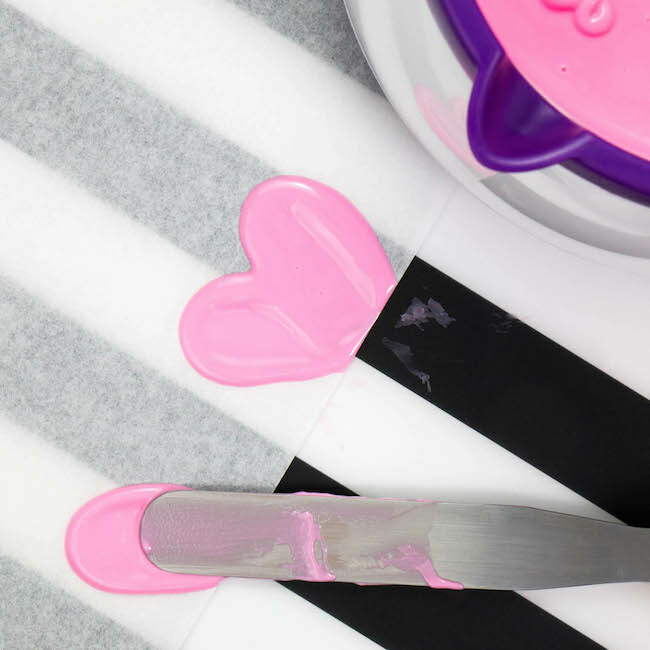 Place a piece of parchment paper or a silicone baking mat on your work surface. Dip the flat side of a small icing spatula about 1-inch deep into the melted candy. Hold the spatula at an angle over the edge of the paper just about an inch or so up from the edge. Carefully and gently smear the candy onto the paper, pulling the spatula down and away. 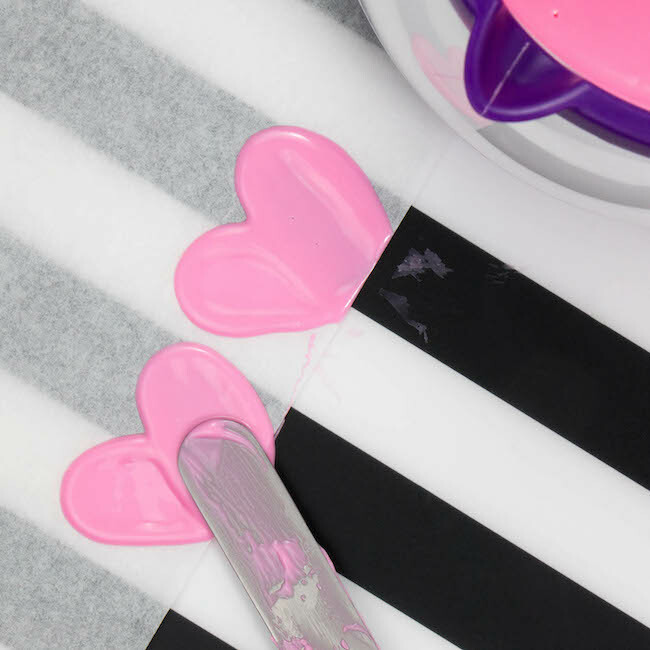 Immediately dip it back into the melted candy and smear another strip in the opposite direction to make a heart shape. 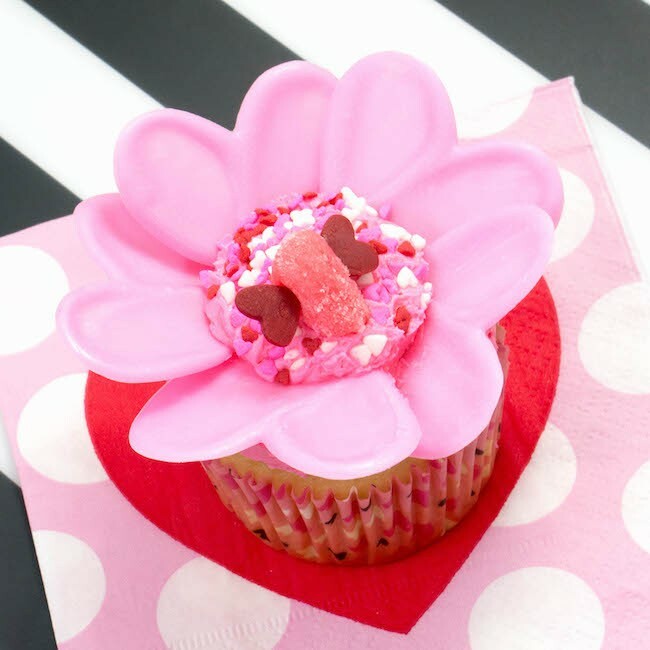 Repeat to make 5 petals per cupcake (and always make a few extra in case of breakage). Slide the paper onto a cookie sheet and into the fridge for just a few minutes to help the petals set up quickly. Cut a gummy heart in half vertically. Set the gummy pieces down on their cut sides. 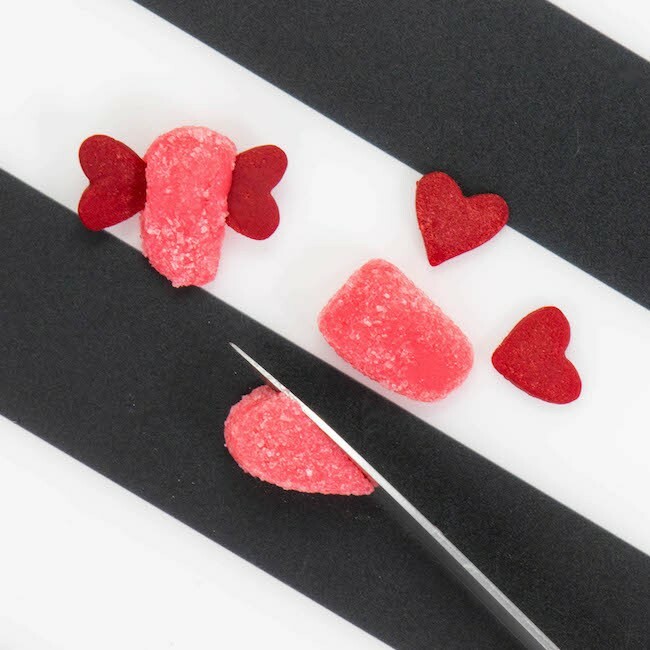 Press a large sprinkle heart in on each side of a gummy section to create wings. Repeat to make as many love bugs as you want! Pour the tiny heart sprinkles into a small bowl. Pipe or spread the top of a cupcake with pink buttercream. Pick up the cupcake and press the frosting into the sprinkles to coat. 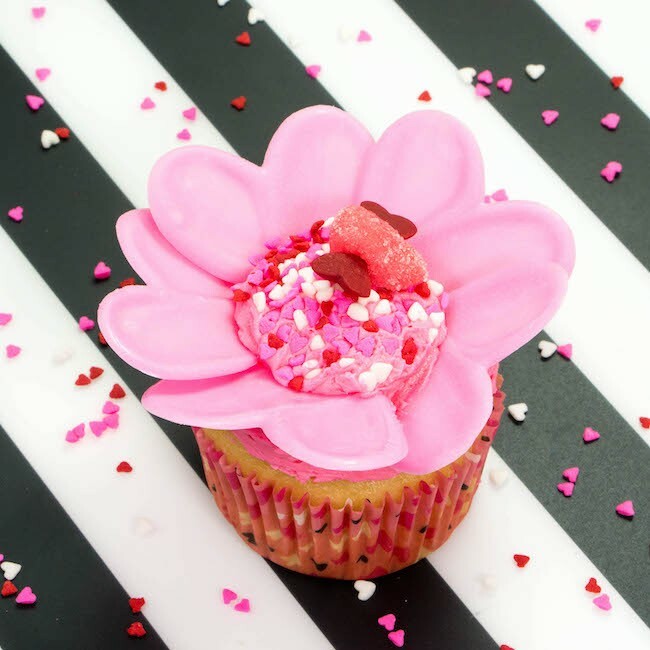 Set the cupcake down and push petals into the buttercream, overlapping the edges, leaving the sprinkle-coated center of the cupcake exposed. Flutter a little love bug in for a snuggly landing in the center of the flower. Thanks so much for following along today! I had a ton of fun taking over Wilton’s Instagram feed and I hope you did, too! Tag me when you post pics of your cupcakes and follow along at @erin.bakes on Instagram for more fun and tasty treats!